Brookwood Partnership's managing partner Sue Parfett explains how the 'John Lewis-style' school caterer became one of The Sunday Times Best Companies To Work For. Sue Parfett: "we need to keep channels of communication strong so that our messages and philosophy are not diluted." Competitive edge can come from almost anywhere in a business. From better products, cheaper finance, better people, even better distribution. It rarely comes from better internal comms. Yet that is exactly how the Brookwood Partnership, a company competing in the deeply unsexy world of school contract catering, is slowly but surely making its fortune. Last year the company, which serves 60,000 school meals a day, turned over £33m, employed 1,100 people and came second in The Sunday Times Best Companies To Work For. Not bad for an outfit operating in an industry that is notorious for fierce price competition, low margins, commoditised products and indifferent treatment of its staff. 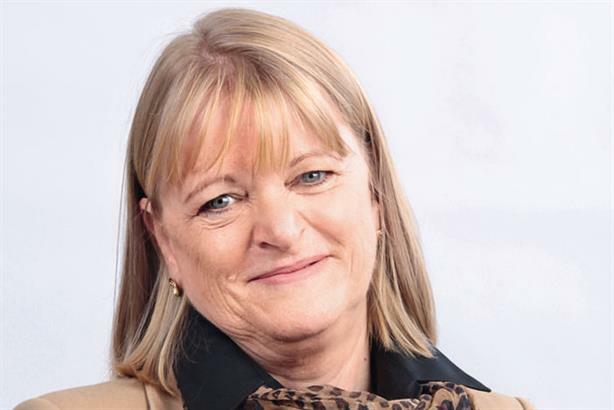 At the absolute heart of its success sits communication, says managing partner Sue Parfett. "We wanted to establish a caterer that focused solely within the education sector and one that put chefs back in the kitchen," she says. So she and her partner Kate Martin based their approach as employers on the John Lewis Partnership, creating an environment where employees shared in the company’s success and felt recognised for their contribution. Recognising employees’ contribution is hard enough. But recognising it when they are scattered over 158 sites is surely a nightmare? "No, it just means that communication is our greatest challenge and our greatest opportunity," says Parfett. "To maintain what Brookwood stands for, we need to keep channels of communication strong so that our messages and philosophy are not diluted." Her aim is for the teams to experience the same communication as if the partners were standing in front of them, delivering the message personally. "As caterers and not accountants we remain close to the business we started, believing one of our key priorities is to be out in the business and to be in touch with our clients." To achieve this Parfett in particular does spend an awful lot of time out in the field talking about what the company stands for. But with so many sites, face-to-face communication has to be supplemented. "I have developed multiple strategies to ensure people are communicated with," says Parfett. Paradoxically, it is technology that helps Brookwood maintain a human touch. The company has BTV, its own online TV channel, which shows a mixture of training videos and ‘how to’ programmes and introduces new concepts to staff. In addition a cloud-based intranet system, known as ‘B On-Line’, connects sites to give real financial updates and provide access to online manuals, standards, newsletters and training guides. Brookwood does have an in-house team for external comms, but much of the company’s effort is focused on representing Brookwood to its own industry. Parfett and Martin sit on various industry bodies, but the jewel in the comms crown is The Sunday Times Best Companies To Work For award. "It’s the gold standard of these types of award and the most important accolade we have as an independent statement about our company," says Parfett. Brookwood came 81st when it entered in 2008. Last year’s second placing reflected years of hard work listening to staff and developing training and communication platforms. The payback has been significant. The average employee turnover in the sector is 13 per cent. Brookwood’s is 11.45 per cent. It sounds like a small difference. But Brookwood reckons it costs around £30,000 to recruit and train a new employee. So it calculates it could be saving around half a million pounds a year with its lower staff turnover.